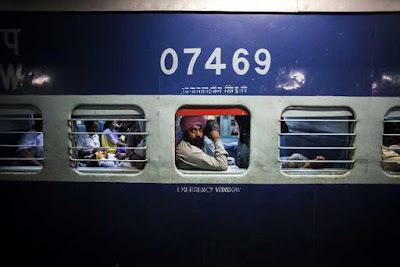 New Delhi : If you are traveling in train and you got victim of theft or any other types of incidents which is related to crime, need not worry about the jurisdictions as you can file a complaints from anywhere during or after travel. As per a recent decision, passengers can complaints about the crime with simply dial 1512 from the phone or mobile. While launching this helpline number today the Union Minister Haribhai Parthibhai Chaudhary said, the All India Railway Helpline number 1512, which will help train passengers to register their complaints with police while traveling anywhere in the country. The helpline number will prove beneficial for the passengers and it needs to be widely publicized. The helpline presently covers 27 states and all Union Territories. Lauding the Delhi Police for its initiative in launching the railway helpline number, Chaudhary also commended them for less than one per cent crime rate in the national capital. Delhi Police Commissioner B S Bassi said that the helpline initiative was a brainchild of Delhi Police. It was started first at Delhi Police’s railway control room. The helpline number 1512 was allotted across the country by the efforts of Delhi Police which took help of Department of Telecom in this regard, he said. “Several inter-state coordination meetings were held to formalise the All India helpline number whereby control rooms were set up in the states. The helpline is also provided with geo-fencing feature so that a call by a railway passenger on it is received by the concerned control room in a State,” he said. Passengers can call the helpline number while traveling in train or at railway stations to report about incidents of crime.